Would you ask permission from the store manager ahead of time, introduce yourself as a nutritional counselor/trainer and that you wanted to make sure the store was ok with me going around with my clients educating them about what to look for and what to stay away from? How has your experience been? I read in your book that you set up a table etc and then have people ask questions etc. 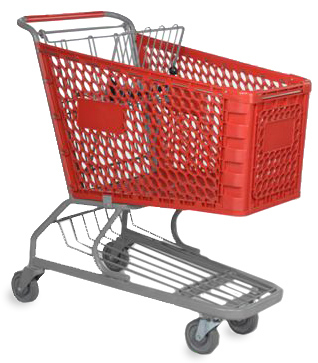 I am not at that point yet if you like, but would like to get my feet wet with regards to doing grocery shopping tours. Did you call ahead of time to ask permission to tour their store and/or introduce yourself as well or what was your experience? Please advise. 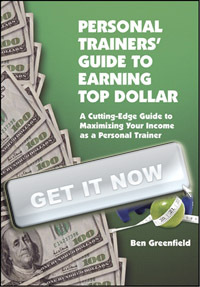 Coming on Saturday, Dec 5, at 4pm EST/1pm PST is a live, online Q&A from Train For Top Dollar and hosted by Ben Greenfield. The topic is “How To Profit from an Online Personal Training Business”. This seminar is completely FREE to attend, and on Dec 5, all you need to do is go to http://www.trainfortopdollar.com and there will be a LINK to click on that takes you to the free online, live Q&A with Ben Greenfield. Come with all your questions, as the seminar will last a total of 1 hour. Set aside that Saturday afternoon on your calendar right now!